Top Ten Tuesday is a weekly meme hosted by The Broke and the Bookish. This week the theme is a Mother’s Day freebie. I chose to focus on my favorite strong and tough mothers in literature. These mother’s can be fierce, tough on the surface but sacrificing everything for their child underneath. Or they are the sweet and kind mother that exudes happiness and warmth, but without her, the family would fall apart. There is more than one way to be a tough mother. Little Women by Louisa May Alcott – Marmee is the glue that holds the March family together. The Scarlet Letter by Nathaniel Hawthorne – Despite her community’s condemnation, Hester shows strength throughout her punishment in the story. Dreaming in Cuban – Follows three generations of del Pino women: grandmother, mother, daughter, in the shadow of the Cuban Revolution. Esperanza Rising by Pam Munoz Ryan – Esperanza’a Mama is emotionally and physically tough. After losing her husband, her home, and all of her money, she manages to escape with Esperanza to evade marrying the baddy in the story, Tío Luis. Les Miserables by Victor Hugo – You can’t help but love Fantine, the single mother who does everything in her power to try to provide for her daughter, Cosette. Stuart Little by E.B. White – Mrs. Little treats her son just like any other member of the family, despite the fact that he was born a mouse. She is quite protective of her smallest child. Anne of Green Gables by L.M Montgomery – Behind the tough exterior of Marilla Cuthbert is a hidden warmth and heart of gold. Taking in orphan Anne Shirley, she definitely deserves a place of her own on the list of awesome fictional momma’s. Foster mothers are mom’s, too. A Tree Grows in Brooklyn by Betty Smith – coming from a family of strong women “made out of thin invisible steel”, Katie is hardworking and loves her children fiercely. Life has given her a tough, hard exterior that doesn’t change much throughout the novel, but she makes any sacrifice she can to give both her kids an education. Mrs. Frisby and the Rats of NIMH by Robert C. O’Brien – I love Mrs. Frisby. She’s kind, sweet, and tough and brave as can be. What fictional mother would you add to this list? Let me know in the comments! Top Ten Tuesday is a weekly meme hosted by The Broke and the Bookish. This week the theme is top ten things that will make me instantly NOT want to read a book. This is a hard list to come up with, as I don’t like sweeping generalizations. So there may be an exception or two, but in general, these are the things I usually avoid when picking out a book! Zombies. I hate zombies, and they give me nightmares, which is why I avoid The Walking Dead and almost all books that are primarily about the undead who walk around in the night. Womanizing, misogynistic men – If the primary character in a novel is a complete douchebag, especially in a romance, I will avoid it. If the male character glorifies women as objects and this is written by the author as romantic, I will not be a happy reader. Christian fiction – nothing is wrong with this genre, it’s just not for me. Apocalyptic contagious viruses – I love dystopian novels, but write a book about a flesh-eating virus that kills 99% of the population, and I will run far, far away. I find out the author is problematic – if an author says or does something that is sexist, racist, etc. I am not very inclined to pick up one of their books again. Same goes for the content – If a book is glaringly problematic in its treatment of PoC, people with disabilities, religious minorities, etc., I will avoid it, unless I am reading it for critical analysis purposes. Princess stories – I have never been into the pink, pretty princess books. Throw a huge, beautiful dress and crown on the cover, and I might never pick it up. Sappy animal stories – I love my pets dearly, but I’m not very interested in reading books about how much other people love their pets (or how much their pets love them). Therefore, I have never read Marley and Me, The Art of Racing in the Rain, or A Dog’s Purpose. Master/slave, or Nazi/prisoner “Romance” – I HATE this. See #6. Crafting books – I struggled coming up with #10, but there are a ton of non-fiction topics I don’t like, and crafting is pretty much at the top of the list! What are the things that instantly turn you off from a book? Happy Tuesday! Top Ten Tuesday is a weekly meme hosted by The Broke and the Bookish. This week the theme is Top Ten Books on My Spring TBR. There are…ahem…a ton of books that fall into this category! But I will list the ones that I truly hope to finish by the Summer Solstice, and I am not including the two books that I am reading right now. The Perfect Stranger by Megan Miranda. I have an eARC from Netgalley, and Megan Miranda also happens to be one of my neighbors, so I absolutely hope to have her latest book finished by the April 11th publication date! The Shadow Land by Elizabeth Kostova. Another book set to be published on April 11, and I also happen to have an eARC of this one. I really enjoyed The Historian, so I have high hopes for Kostova’s latest novel. The Murder on the Links and The Man in the Brown Suit by Agatha Christie. Both of these are part of my long-term personal challenge to read all of Agatha Christie’s mystery novels in publication order. A Game of Thrones and A Clash of Kings by George R.R. Martin – I had planned on reading the first few books in the Game of Thrones series this year, but for some reason I keep procastinating…especially when the shiny eye candy of new releases draws my attention away from older fantasy series (ahem…Conjuring of Light). We’ll see what happens with these two, but I do hope to at least have read the first one by the start of summer. Will Grayson, Will Grayson by John Green and David Levithan – I am slightly ashamed to admit I have never read any of David Levithan’s novels, and this is one of two that were on my list for this year. I already know and love John Green! 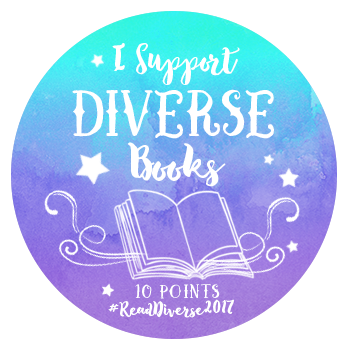 Every Day by David Levithan – Both of these two books will also hopefully help meet two of the categories in the #DiversityBingo2017 Challenge that I am participating in this year. Homegoing by Yaa Gyasi. I keep hearing so many great things about this book, I need to read it NOW. When Dimple Met Rishi by Sandhya Menon – This contemporary YA novel will be published in May, but I already have my name on the holds list at the library! Happy Tuesday! I look forward to seeing what is on your TTT this week. Please feel free to leave a link in the comments! The Broke and the Bookish have decided to take a well-deserved break, so I thought I would focus this week’s freebie on gratitude. I feel we could all use a dose of positivity these days! For the delicious Bosnian food and new friendships found at last night’s fundraising dinner for Carolina Refugee Resettlement Agency. The recent discovery that I have two amazing half-sisters. My heart is so full over this one. My 30 minutes of quiet in the morning spent drinking tea and reading a book, or listening and watching the birds in our backyard. For my 9-year old daughter offering to help me out in a moment of stress. For Victoria Schwab; I am knee-deep in A Conjuring of Light right now, and loving every minute of the journey (a few heart palpitations aside). The exhilarating feeling knowing that today is the last day of February, and one of my favorite months of the year is coming up next! For my husband, who planted a bunch of lovely flowers in the backyard over the weekend. The solidarity and show of support from the greater community after our JCC received its second phone-in bomb threat yesterday. The excitement on M’s face when she found out she will be playing the part of Esther in our synagogue’s upcoming Purimspiel. Lastly, I am grateful for the Chocolove Salted Almond Butter in Dark Chocolate bar. This week’s Top Ten Tuesday theme is Ten Books I Loved Less/More than I thought I would. I’m going a bit off on the side rails with a variation this week…Top Ten Libraries I Love More Than Anyone Else (Because libraries are my favorite thing in the WHOLE WIDE UNIVERSE!). I have lived in a lot of places. And when I travel, I am also known to wander into a nearby local library. It may known to occasionally drive my husband batty. “Why do you want to spend hours in a library when you already have that at home?” he says. “Who wouldn’t? !” I reply. As you see, I am completely serious when I say I love libraries more than anyone else! And below, you will find my Top Ten Favorite Libraries That I Have Ever Visited. I wanted to live at this Museum/Library during our time residing in Philadelphia. The Rosenbach is located within two 19th century townhouses at DeLancey Place in center-city Philly, and houses almost 400,000 rare books, manuscripts, and other fine arts and objects. From 1968 – 2014, the Rosenbach was also the sole repository for Maurice Sendak’s picture book illustrations. The collection at the Rosenbach is AMAZING. Bram Stoker’s notes and outlines for Dracula; dozens of personal letters written by George Washington; William Blake first editions and original drawings; a first edition of Cervantes’ Don Quixote….I could go on and on with the treasures contained within the Rosenbach! For three years, we lived about 15 minutes away from Princeton, in North Brunswick, New Jersey. This was my absolute favorite public library in the area, having only opened a few years before we moved to NJ. I loved the open layout, with lots of natural sunlight, and an incredibly fun tile mosaic at the entrance. Princeton definitely knows how to do libraries. The Cotsen Children’s Library, located on the campus of Princeton University (and just down the street from the Princeton Public Library) is a magical wonderland for kids. M loved climbing into the tree book nook and curling up with me to read a good book or two…or ten. The Wishing Well was another fun reading spot. Located in Québec City, Canada, The Maison de la litterature promotes Québec literature and authors. Housed in the circa 1848 Wesley Temple, the interior is gorgeously modern. Right next door to my undergrad alma mater, the University of Pittsburgh, and so much more beautiful than the dated Hillman Library, I used to occasionally ditch Hillman and head to either the Cathedral of Learning or the Carnegie Library to study. Anyway, everyone knew that the Hillman was THE place for not getting ANYTHING done. One of the newer buildings on this list, it’s hard to beat the State Library of Queensland, located adjacent to the Brisbane River, near South Bank, my favorite spot in Brisbane. NYPL speaks for itself. A visit to NYC isn’t complete without stopping by the NYPL, at the very least, to say hi to the lions, or visit the infamous Rose Room. Everything Shakespeare! And randomly, considering it’s location in Washington, D.C., also home to the world’s largest collection of Shakespeare’s printed works. This is the library that introduced me to the wonderful world of William Shakespeare. This is the library where it all began. It’s nothing spectacular or special, but it’s where I fell in love with books. The Martin Library gave me my first library card, and my weekly trips to pick out new books as a child was one of the highlights of my week. This library will always hold a special place in my heart. This library isn’t very pretty, but it holds a wealth of treasure inside. We visit the North County Regional library at least once a week, and I hope M has as many fond memories of her childhood library visits as I do of mine. The librarians know her by name – and her reading tastes. We can always count on them for a great recommendation. And lucky for us, our branch is getting a multi-million dollar interior makeover next year!